Robert Mueller’s 400-page report into Russian interference in the 2016 US election will be published in April. Attorney General William Barr wrote to senators saying that he would make a redacted copy of the report available mid-month, “if not sooner”. After a 22-month investigation the special counsel did not find that President Donald Trump’s campaign colluded with Russia in 2016. 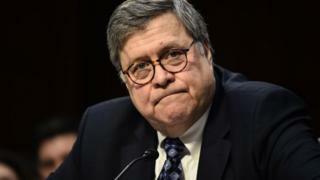 He left it to Mr Barr to decide whether Mr Trump had obstructed justice. In his four-page summary published last week, Mr Barr concluded that, from the evidence presented in the report, it was not enough to charge the president with obstruction. Since then many politicians in the US have since been calling for more details, and for the report to be released in full. Meanwhile, the president celebrated the report’s conclusions at a rally in Michigan on Thursday, calling the claims against him “lies and smears and slander”. “Everyone will soon be able to read it on their own,” Mr Barr wrote in his letter on Friday.